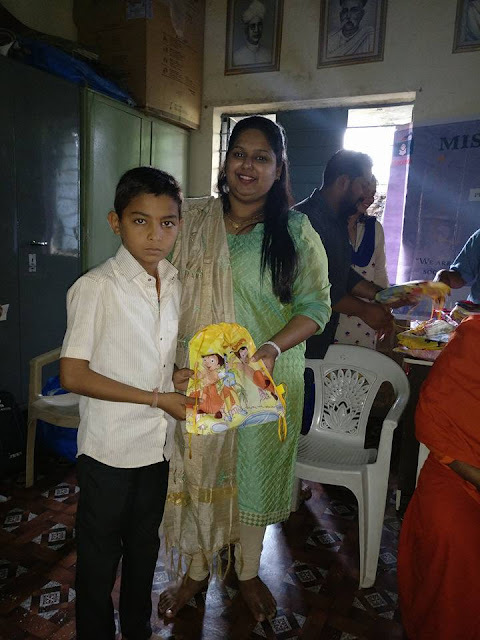 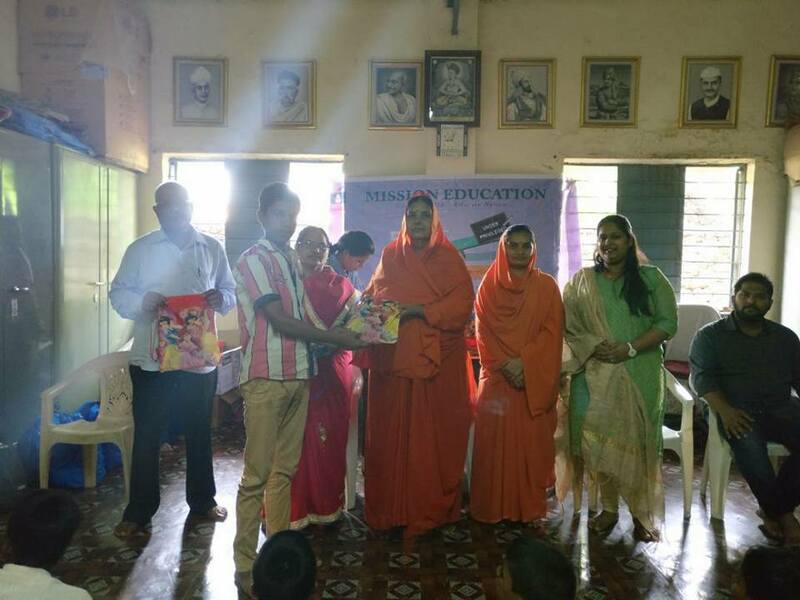 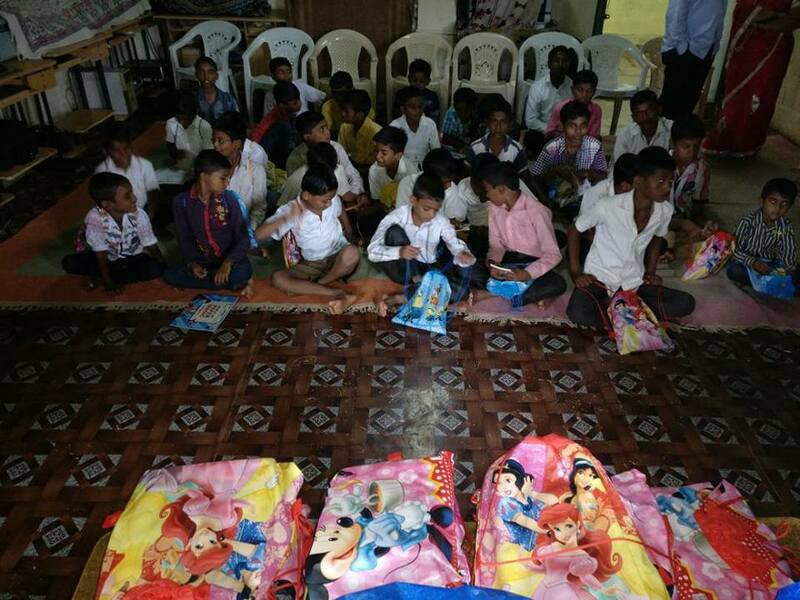 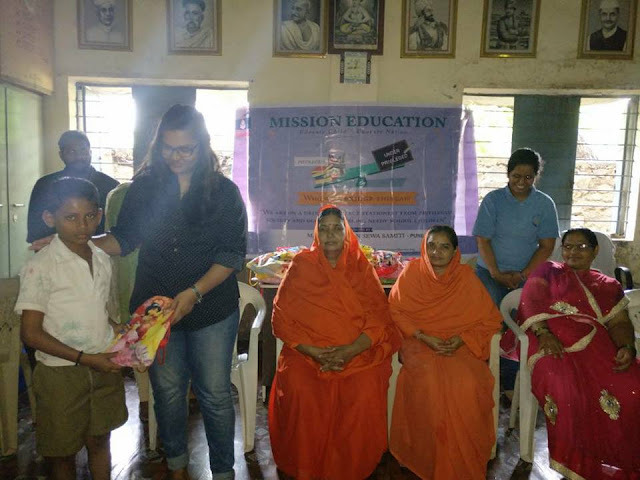 An Eidi in the form of stationary was gifted to 45 students of Dhyas Foundation's 'Maharishi Walmiki Vidyavardhini' school by Shaikh family in co-ordination with Mission Education Pune Team on 25th June. Activity was conducted under the guidance of M. Antarmukhi Baiji and M. Subhadra Baiji. 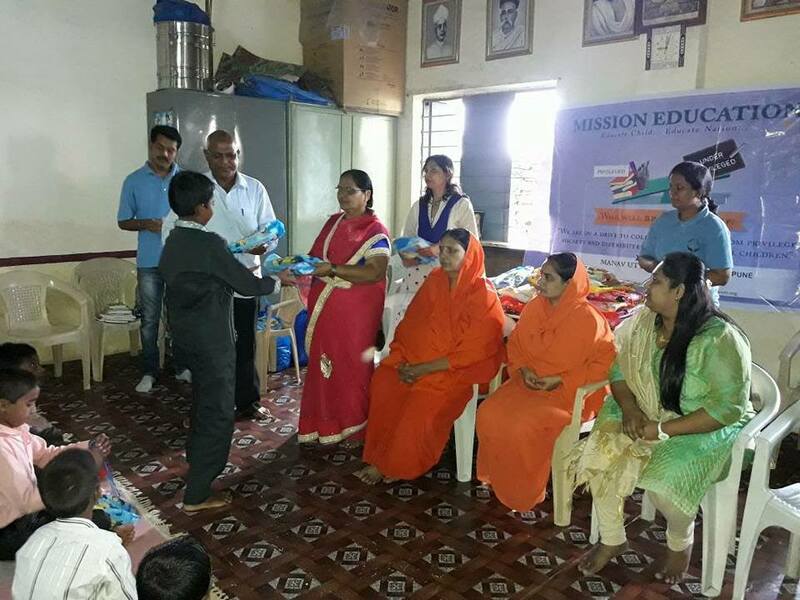 Event was blessed by the presence of Ret. 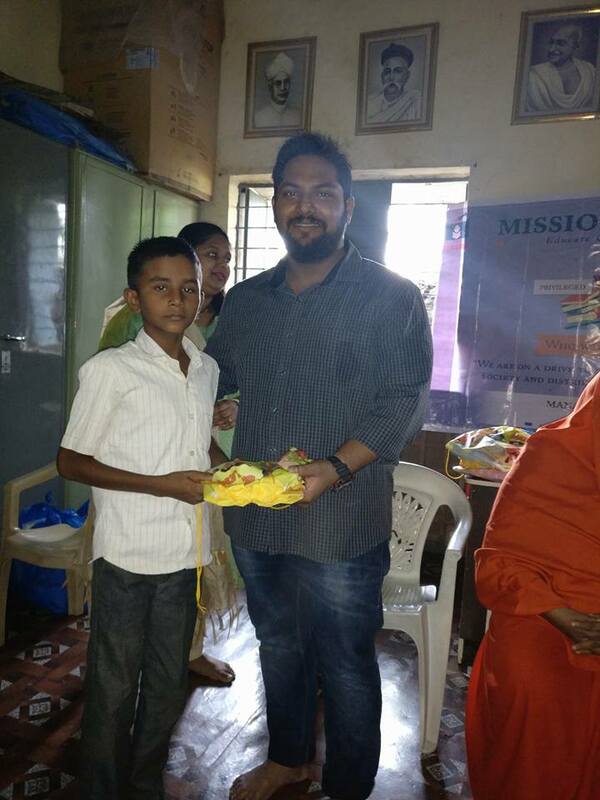 Army Cap. Budan Shaikh, Mrs. Mumtaj Shaikh, Siraj Shaikh, Tohsin Shaikh (social worker), Kajol Shaikh and Mr. Umbarkar Sir (Supervisor, Dhyas Foundation). Cap. 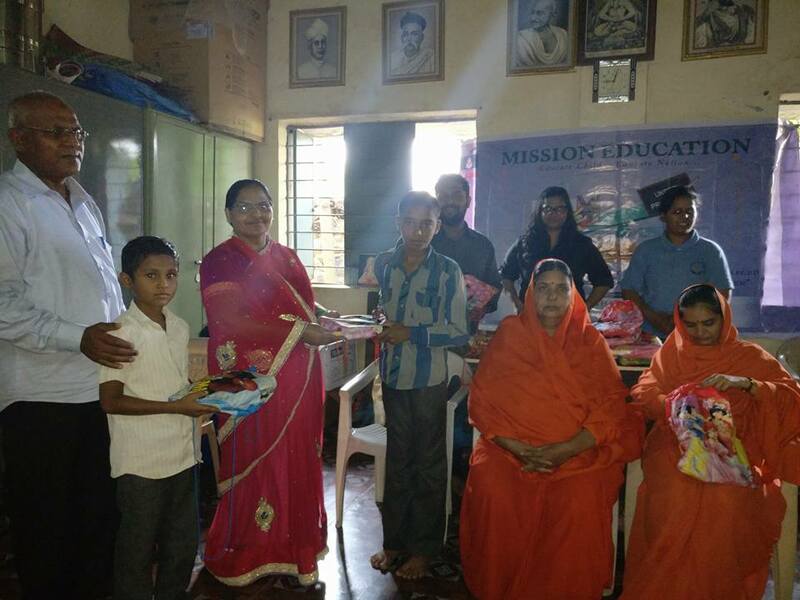 Budan Shaikh guided the students about importance of education as well as of good health in life. 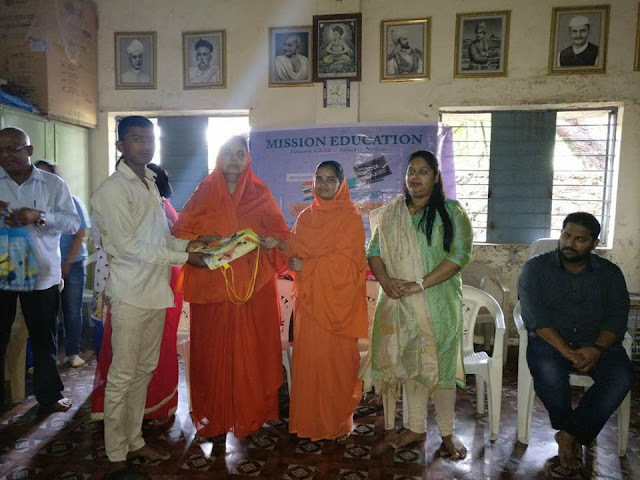 Mr Umbarkar Sir praised Mission Education by saying that if people from different religions come together for a greater cause then it will create wonders. Mission Education is indeed a great initiative which increases religious integrity.